Following the “opening” of Japan by the United States Navy in 1853, international expositions began to alert artists and collectors in the West to the seemingly exotic art of Japan. This exhibition examines the reciprocal influence of these events in forming both the West’s conception of a Japanese aesthetic and its incorporation into both high and low art forms, as well as the response by the Japanese to the West’s interest and to Western art. It includes objects in a wide variety of media—fans, paintings, prints, vases, stoneware, and more—by American artists such as Georgia O’Keeffe, Winslow Homer, Milton Avery, and Mary Cassatt; and Japanese artists like Gen Yamaguchi and Kiyoshi Saito. 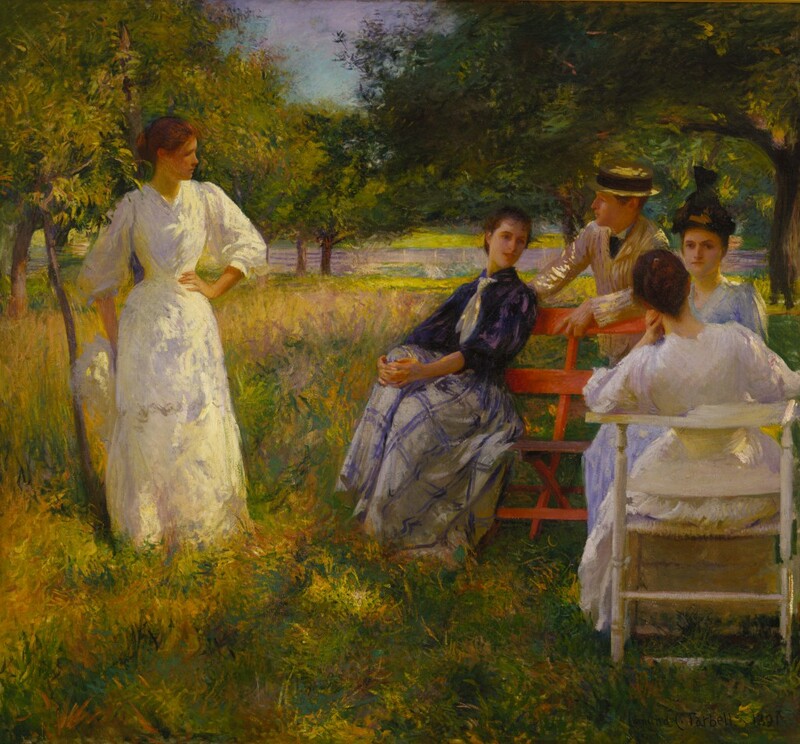 From the collection of the Terra Foundation for American Art, Childe Hassam, The White Kimono and Edmund Tarbell, In the Orchard are exhibited in Japan America: Points of Contact, 1876–1970 organized by Cornell University’s Herbert F. Johnson Museum of Art. The exhibition is also on view at the Herbert F. Johnson Museum of Art, Ithaca, New York, August 27 – December 18, 2016 and Crocker Art Museum, Sacramento, California, February 12–May 21, 2017.